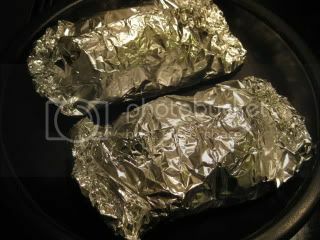 I made an easy but special foil-wrap dinner. The secret ingredient is, yes, my donabe-smoked soy sauce. The fish was wild-caught petrale sole from Oregon. So beautiful. 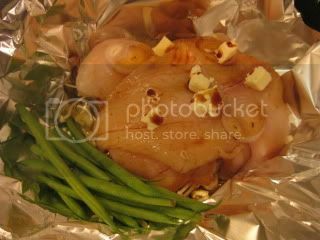 In a piece of aluminum foil, I wrapped the fish (lightly seasoned with salt and pepper) with eryngi mushrooms, enoki mushrooms, garlic, shallot, and haricot verts. Then I added sake, soy sauce, and some butter, and closed it. 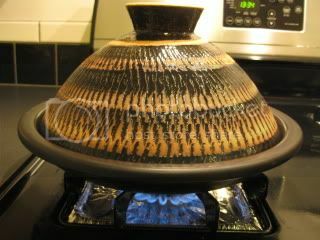 The foil wraps were set in my tagine-style donabe, "Fukkura-san", and set over medium+ heat to cook for about 10 minutes. All the flavors were sealed inside and it was so wonderfully aromatic! I drizzled extra donabe-smoked soy sauce and also some chunky la-yu. 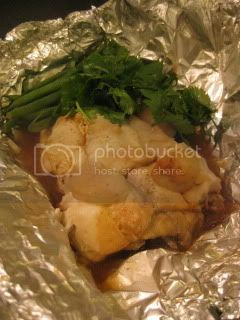 The fish was so pure and flavorful with the accent of smoked soy sauce. Gorgeous. You can find the recipe on toiro's website. Hope you will try it.